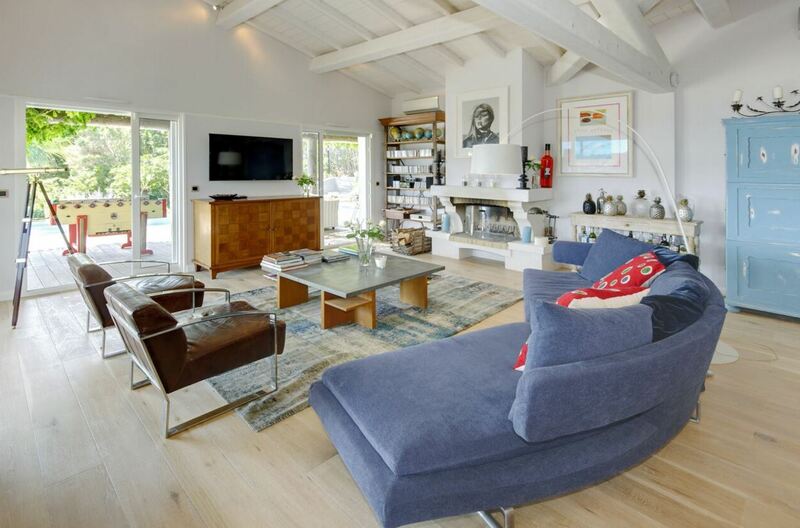 This contemporary style house located in the hills of St Tropez and overlooking the sea offers privacy and a marvelous scenery. It is only a 5 minute walk down hill to the nearest beach and local amenities and St Tropez are a drive away. From the poolside you can enjoy sea views as you relax on the terraces or have a BBQ which is located close to the kitchen for easy dining. The kitchen is fully equipped for you to show off your culinary skills with cooker, fridge/freezer, dishwasher and espresso machine at the ready. The property has high beams provides a spacious living area. The lounge offers TV, CD player and DVD player so you can make the most of relaxing inside the property as well as out. There is also WiFi and air conditioning throughout. In total there are four double bedrooms two on the ground floor and two on the lower ground floor all offer a terrace and ensuite facilities. One of the bedrooms offers twin beds so it is ideal for children sharing.